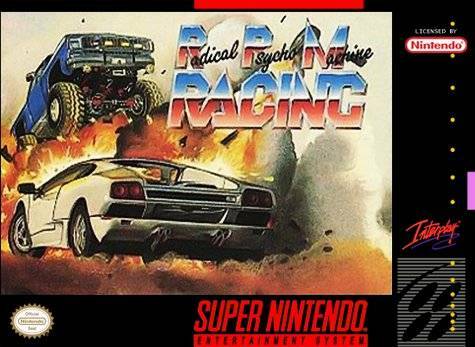 Radical Psycho Machine Racing for Super Nintendo has players race in a regular season, a single race, and even get to create their own course. The courses can be straight and oval like NASCAR, curvy and flat like Formula One, or hilly and unpredictable like a monster truck track. The winner gets money and a chance to score his initials for the fastest time. For 1-2 players.